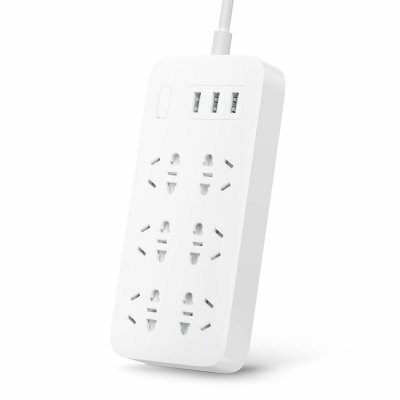 Successfully Added Power Strip Xiaomi - 6x AU Socket, 3x USB Outlet, Overload Protection, 1.8m Cable, Compact And Portable to your Shopping Cart. This portable Power Strip produced by Xiaomi features a lightweight and stylish design. Thanks to its compact size, it can be efficiently carried along when heading out on a business trip and placed conveniently in any room or office without taking up too much space. Supporting 6 AU socket types, this magnificent smart power strip can be used in the majority of Western areas including the USA and EU. 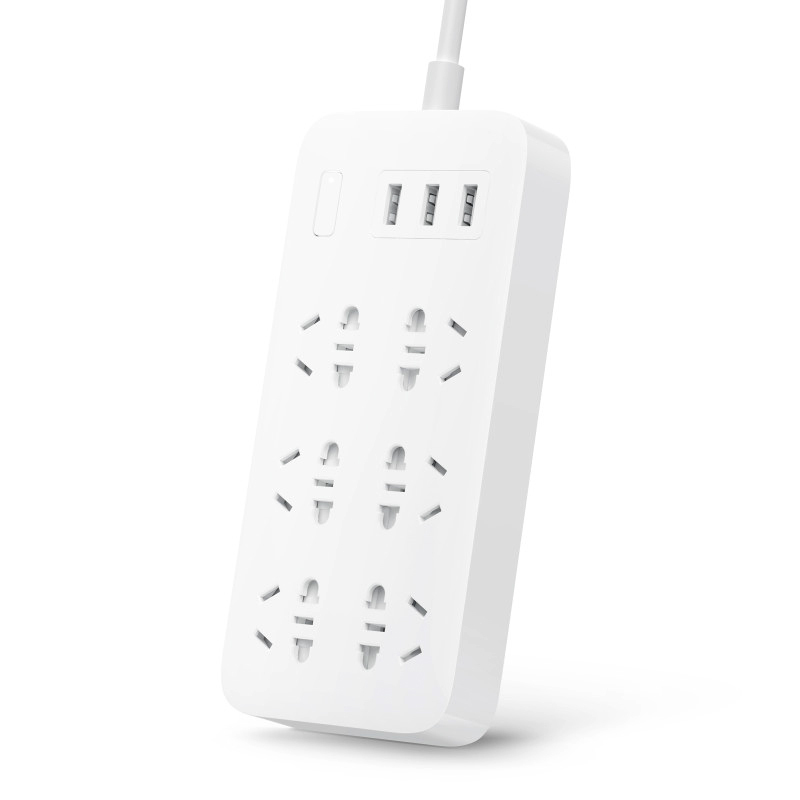 Additionally, it features 3 USB 2.0 outlets, making it a highly efficient USB power strip that can be used to charge all sorts of electronic devices. Featuring its own power button, this smart power strip can be efficiently switched on and off – allowing you to keep it plugged in even when not in use without wasting any electricity. It furthermore comes with overload protection thanks to which it allows you to safely charge all your electronics while you’re asleep or out of home without needing to worry about damaging them. Thanks to its 1.8m cable, this USB power strip can be placed virtually anywhere in your home or office – making it a highly convenient electronic gadget that helps you to charge all your beloved electronics in absolutely no time. This smart power strip comes with a 12 months warranty, brought to you by the leader in electronic devices as well as wholesale electronic gadgets..